Before it’s even officially announced that you’re running for office—before supporters and opposers have the opportunity to analyze your every step through a campaign journey—you must establish your social media presence. This means start building out your social media strategy early on. It’s not simply about “getting ahead,” it’s about establishing a presence that you can maintain throughout your campaign. Why is this so important? Because political campaigns are essentially brand platforms—and as a candidate, you are the brand. Within today’s social landscape, public figures are no different than big brand names. How effectively their actions resonate and how carefully they uphold the image they want to project makes them one and the same to their audience in this environment. This is why political candidates, particularly during widely visible elections, are smart to embrace what makes their supporters love them and make waves right from the social feeds. The inner workings of political campaigns must be organized, with every Tweet, Instagram post or blog post as part of a unified, controlled message. That shouldn’t be confused with being “phony.” There’s a balance and even an art to remaining transparent and authentic in how you use your social platforms, while still taking care to include talking points that lead back to a specific goal or set of goals. On Instagram, Kamala Harris typically posts snapshots from events relevant and meaningful to her and her platform, accompanied by words that feel genuine about a subject we know she advocates for. According to a Sprout Social study, 79% of consumers say politicians have a responsibility to be transparent when posting on social media. Americans hold politicians to a higher standard than they do themselves—only 71% say they personally have a responsibility to be transparent on social, and 66% expect the same of their friends and family. Treating your campaign like a brand platform—by closely monitoring your messaging—means candidates can avoid Tweeting “oops,” in the future and can actively combat the various organizations that exist to dig up dirt from candidates’ pasts. While a rogue Tweet may be a PR nightmare, a social presence that lacks personality and substance can be a campaign deal-breaker. So, you’ve established that campaigns are indeed like your very own brand platform. Now you’ve got to ensure that the entire campaign team adheres to the strategy you’re setting in place. Develop and implement a fully baked plan that outlines goals, social strategy and tactics before launching. Having a firm strategy in place will help mitigate errors and empower campaign team members to make decisions knowing that they’re staying on-message no matter how fast they’re moving on social. In order to think digitally and to raise digital quotient, political campaign teams must be agile and adaptable. They must understand the risks inherent in using social media and how to reach digitally plugged-in voters without compromising brand image. Alexandria Ocasio’s Instagram take several opportunities to showcases adapting to new content forms. In this Boomerang urging people to vote in the primaries in New York, she’s using Instagram as a platform to promote not just personal posts or posed photos, but education and information. At the end of the day, your team of campaign workers and strategists are human. There will inevitably be errors—big and small—happening along the campaign journey. Candidates have got to make sure they have a contingency plan in place for when accidents do occur. They must develop a communications tree, assign a plan for escalation and empower the right people to make decisions. For example, if a staffer forgets to sign out of a political official’s account before using social personally, and Tweets out an inappropriate quote or lewd photo, what happens next? Depending on the severity of the mistake, someone else involved in the campaign must be notified to take action. Who gets the call when there’s a typo? How many people need to be on the case when a staffer posts a misconceived meme on the campaign’s Facebook page? How do you reach said people when a mistake happens? When BlackBerry Tweeted out a (now deleted) message urging its last bastion of loyal users to keep up with the brand on Twitter from an iPhone, people noticed. We often forget this these details are plainly visible in Tweetbot, Tweetdeck, and other clients. It’s a good lesson—the right device your sending messaging from can sometimes make a significant difference. Perhaps most importantly, campaigns need to empower the right people to make decisions for better or for worse. When the lights went out at Super Bowl XLVII, Oreo promptly tweeted an image of an Oreo cookie in a small glow of light above the words, “You can still dunk in the dark.” Yet what if the right person had not been empowered to approve that Tweet? And what if the chain of command was so long that the timeliness of the message was lost? Your strategy needs to account for these instances and the team needs to thoroughly discuss them to make sure you’re solidly ready to handle potential errors and think on your feet. Research shows that 61% of people said that brands can demonstrate transparency on social by admitting mistakes—advice politicians should take to heart. Your audience is more digitally savvy than you know, especially when it comes to political campaigns and candidates on social, so you should be exercising the sort of strategic skill, creative content and innovative engagement that they expect. Whether you’re up for local candidacy, a state seat or national election, these social tactics apply to every campaign in the social arena. Whether a political campaign is candidate-centric or issue-centric, any effective social strategy would need to establish both long-term and short-term goals. The most bang for your buck costs no buck at all. 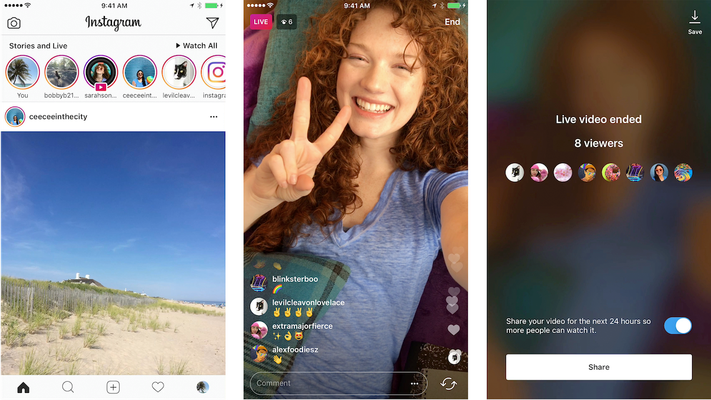 For a moment, forget all the bells and whistles of social tactics and paid advertising and realize that all you need to amplify your message is free—a social account. In 2016, when both Clinton and Trump announced their candidacy, Twitter became their battleground, with significant spikes in followers and engagement throughout the election. An active political candidate looking to make an impact with their core demographic needs to be present and available across each major social platform—Twitter, Facebook, Instagram—meeting their supporters where they are. That said, though inexpensive compared to traditional media, social incurs its own type of expenses when you hire a team of experienced professionals to deal with social media marketing. Even if you don’t think of your social platform as a candidate as an advertising platform, it’s beneficial understand the in’s and out’s of paid social strategy—how to get started, what to spend and how each individual network operates. A political candidate’s audience is made up of everyone: young voters, middle-aged voters, men, women, senior citizens, informed and educated individuals and activists. Any social marketing for political campaigns should also take into account optimal timing for social media engagement—for instance, when your core audience is active online, the messages and events promoted should take advantage of those opportune moments. That said, it can’t be denied that social is dominantly made up of a younger generation. Millennials also happen to comprise a large part of the the voting pool, In fact, Millenials and Gen Xers currently stand as the largest generation of Americans eligible to vote. These younger generations respond to digital outreach, so it makes sense to go all in on your social strategy and meet them where they are. Because the reality is, today’s voters have never lived in a world without the internet or the iPhone. Digital content is what young voters use to educate themselves on issues—it’s no longer TV or print media. The candidates that win today—whether it’s a local, state or national election—are candidates that invest in a new audience and new ways to reach them. For any public figure or brand on social, it’s been established in recent years that video is statistically one of the most engaging forms of content to publish. Sprout data shows that 67% of people claim video (43% specifically saying live video) is a content form that they consider to be the most transparent. It’s true, online video is a powerful tool that effectively builds buzz organically and shouldn’t be underestimated. According to Sprout data, 3 out of 4 consumers share brand video content on social, and social marketers are well aware of video’s importance: 65% of social marketers list a dedicated video producer or graphic designer as their #1 necessary additional resource. Invest in and value the power you can leverage with this sometimes underestimated medium. You can leverage the power of social listening tools to be a fly on the wall of social conversations and public issues in order to build better campaign platforms. There are a couple of ways you can use listening to your advantage on the campaign trail. Social offers brands an unprecedented level of access to information about competitors’ strategy and campaign performance. Listening is what will help you easily mine that data, uncovering what your target audience truly cares about and helping you gather competitive intel on how they are approaching that target audience, and how those approaches are performing. With listening, you not only discover chinks in your competitors’ armor, you can find inspiration for ways to generate conversation around your own campaign. Then you’re more equipped to directly solve problems and address concerns. This makes it simple to listen to the multitudes of voices, connect with them and forge personal rapport with them by understanding their plight, assimilating their opinions and responding honestly to their questions and comments. Your supporters are on this journey with you. It’s important to highlight every achievement of your audience—from participation to promotional activities and more. The campaign message of a political party/politician should be that of the common public and this message should define your social media political campaign for elections. 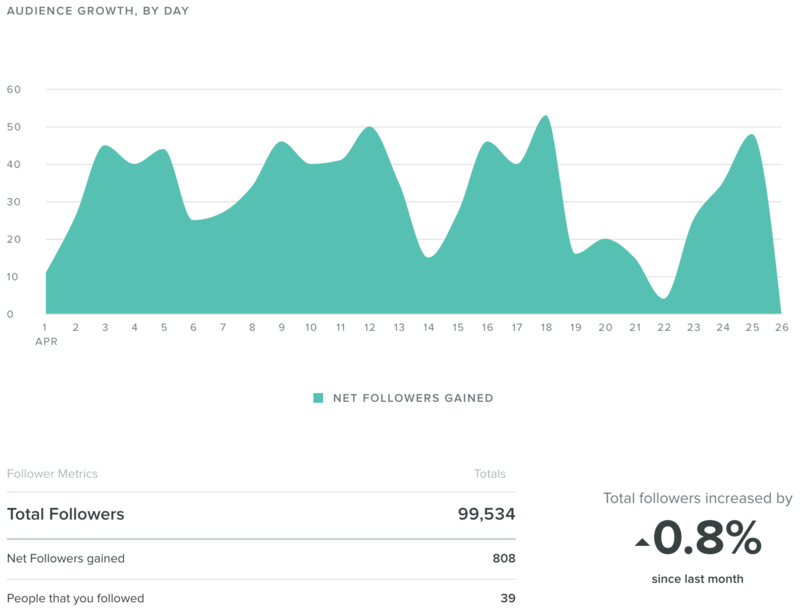 Brands and candidates alike can highlight their followers’ posts to great effect on social. You can imagine how much this would make your supporters feel engaged if you highlight their efforts. The speed at which social media can rally supporters on issues, particularly socio-political issues, is bar-none. The nature of the platform makes it so that people across the globe can discover and rally around the causes and issues that mean something to them. To be a candidate in this environment means dishing out meaningful content to mobilize a community behind you. Non-profit organizations tend to use social in a way that gathers groups of supporters together, all backing one cause and like-minded values. Charity: Water does a great job of highlighting the real people at the center of their cause, stirring an emotionally connected gathering of supporters across social and showing the direct value supporters are a part of. Once you start implementing a social strategy, you’ll want to make sure your approach is working. Take the time to analyze your campaign’s efforts to win over voters with a tool like Sprout’s analytics. 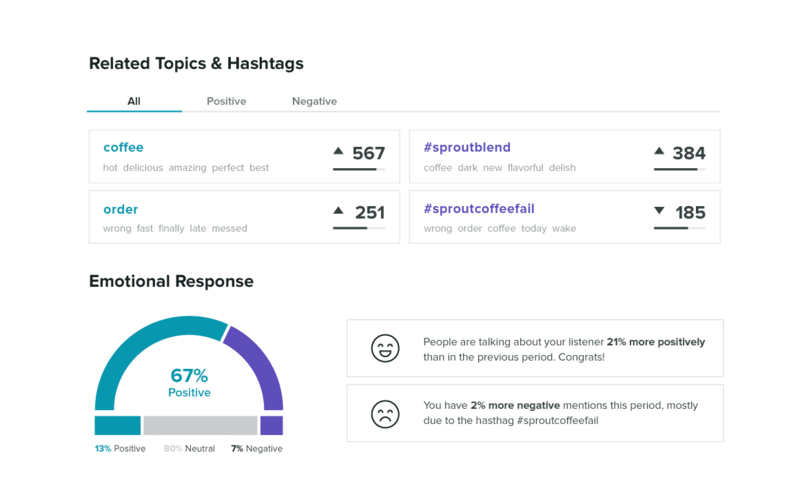 In addition to tracking stats like your follower and message counts across platforms, you may also want to dig into what types of things people have to say about your campaign or related key terms with a feature like social listening. This is a powerful way to find out how people are reacting to your campaign on social media, and how you might adjust your focus to best connect with supporters. We know that the population of voters and the various avenues for influencing that population become wider when leveraging social media for political campaigns. Transparent, strategic and credible efforts can increase support from a wide audience, who are looking for authenticity from their representatives on social. The measurement of a good political campaign is the participation of the public. Social platforms have helped political parties increase the voter base and open communication to a point that people everywhere can ask questions, make their opinions visible and go directly to the candidates for answers. Make the most of it by prioritizing digital strategy, above all other forms of campaigning, and meet your audience where they live—social media. Plan, produce and share an impressive digital campaign for your candidacy.